I have a mild obsession with the country of Turkey. It must be something about the East-meets-West culture, and its millennia of history. Someday I hope to visit, but for now I have to settle for exploring it in books. 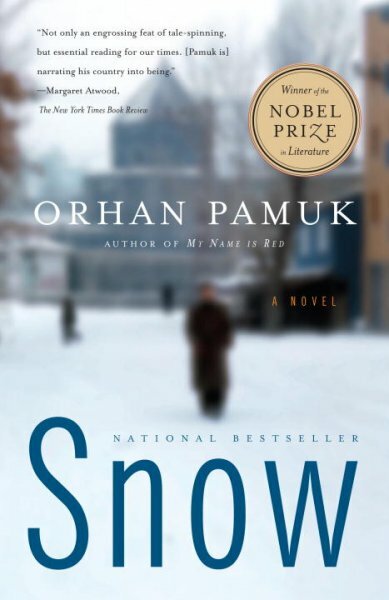 Most recently I read Orhan Pamuk’s 2002 novel Snow — book #2 in my 100 books challenge. Pamuk won the 2006 Nobel Prize in Literature. Snow was his 7th novel, and the original Turkish manuscript has been translated into at least 30 languages. The novel is set in the town of Kars, in northeastern Turkey on the Armenian border. Its main protagonist is the poet Ka, a poet from Istanbul, who has recently returned to Turkey after 12 years of political exile in Germany. While he pretends he’s traveling to Kars as a journalist to cover both a recent teenage girls suicide epidemic that has swept the town and the upcoming political election, its really to propose marriage to Ipek — a beautiful woman from his former life in Turkey, who barely know him. Amidst a major snowstorm, a revolution is spawned by a theater troupe as an attempt to counteract the growing Islamism in the town. With all roads closed due to bad weather, there is no escape as the situation turns increasingly dangerous. Faced with skepticism from the tight-knit townfolk, Ka finds himself a major player (or pawn) in the unfolding events of the revolution over the next few days, all the while trying to win the affection of his beloved Ipek. If you enjoy classical fiction or literary fiction, this is an enjoyable read; however, you probably won’t enjoy the 400+ page novel if you’re mostly into popular fiction. 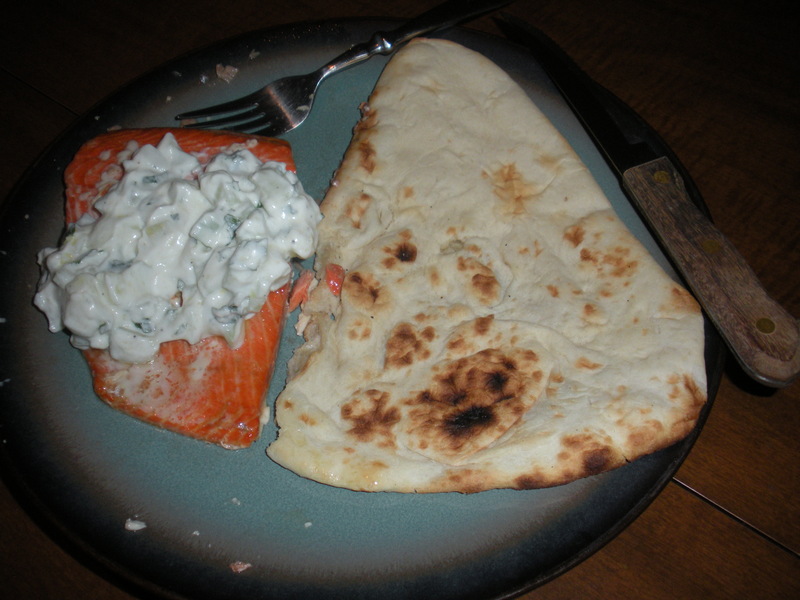 I paired about 1/4 of this salad with a baked wild caught salmon filet and 1 Tandoori naan bread from Trader Joe’s (I like the frozen kind that you bake in the oven for 10 minutes before serving) to round out the meal. This entry was posted in Around the World Virtual Book Club, Book Challenge, Recipes and tagged book challenge, book reviews, fiction, literature, Nobel Prize winners, Orhan Pamuk, recipes, salmon, Turkey. Bookmark the permalink. I’ll have to try this one. Just reading the recipe is refreshing.